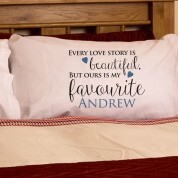 This set of personalised pillowcases makes a thoughtful gift for any happy couple. They will brighten up any couple's bedroom (or your own) and tie in with any colour scheme. Each pillowcase has 'Every love story is beautiful but ours is my favourite' quote along with his or her name. It makes the perfect valentines day gift, wedding or anniversary present (2nd wedding anniversary is cotton). Every night when they rest their head on their his and hers pillowcases they will remember their love story and dream about their future together. The Mr pillowcase has blue and black text, the Mrs pillowcase has pink and black text. 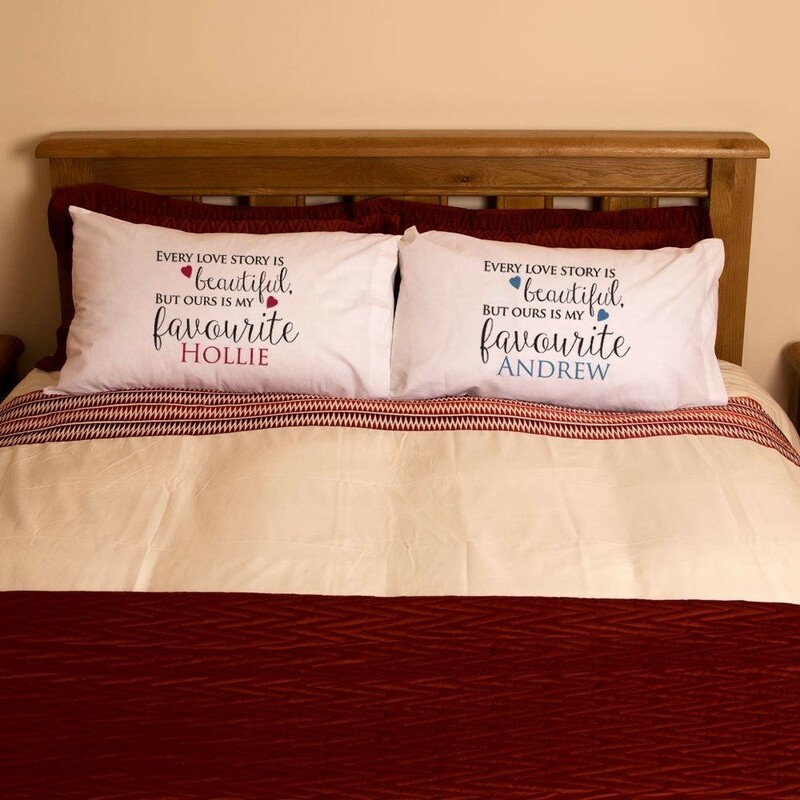 A set of personalised pillowcases will ensure there is no squabbling about which side of the bed is whose.